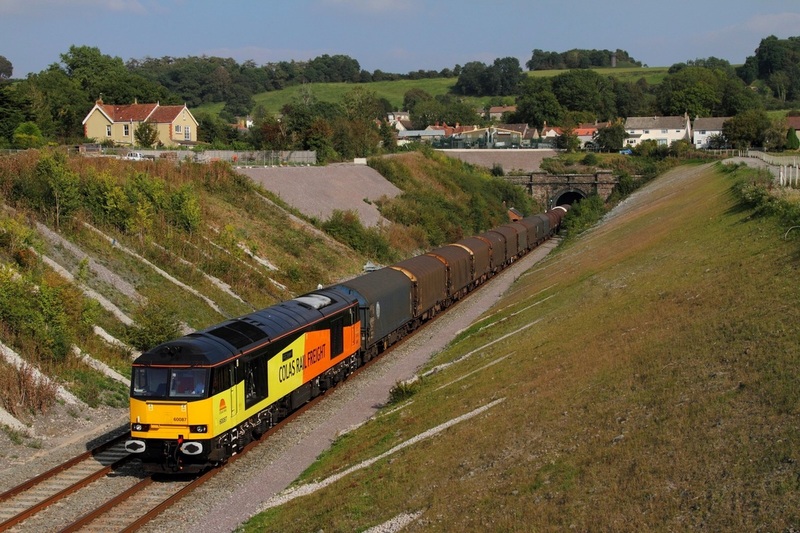 Colas Rail liveried 60087 powers the 6V62 Tilbury to Llanwern steel train at Old Sodbury on the 10th September 2014. 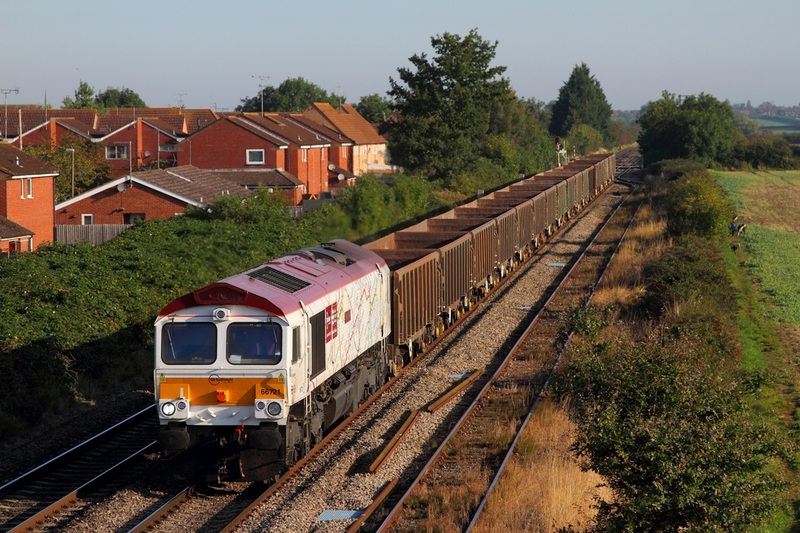 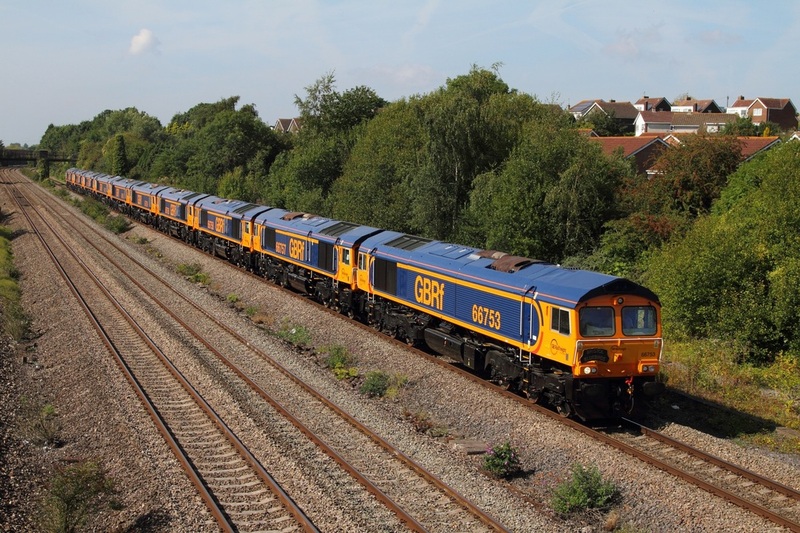 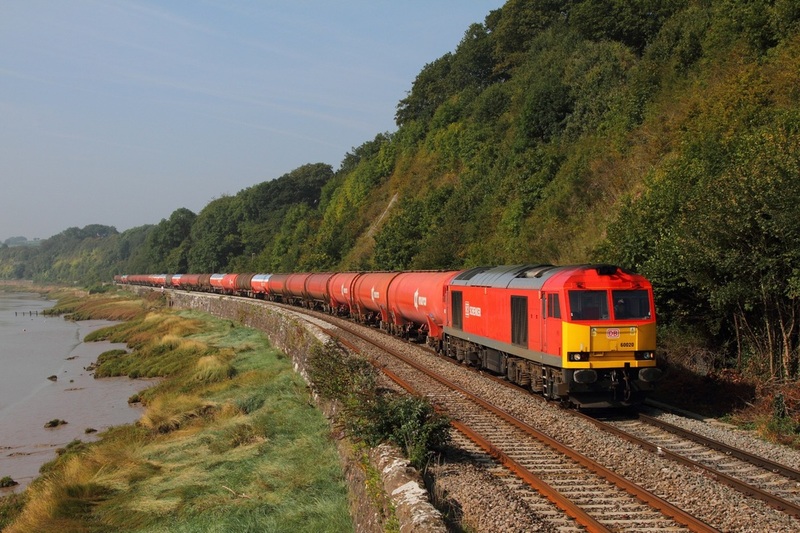 GBRf 66715 works the 6V80 West Burton to Portbury loaded gypsum at Damery on the 9th September 2014. 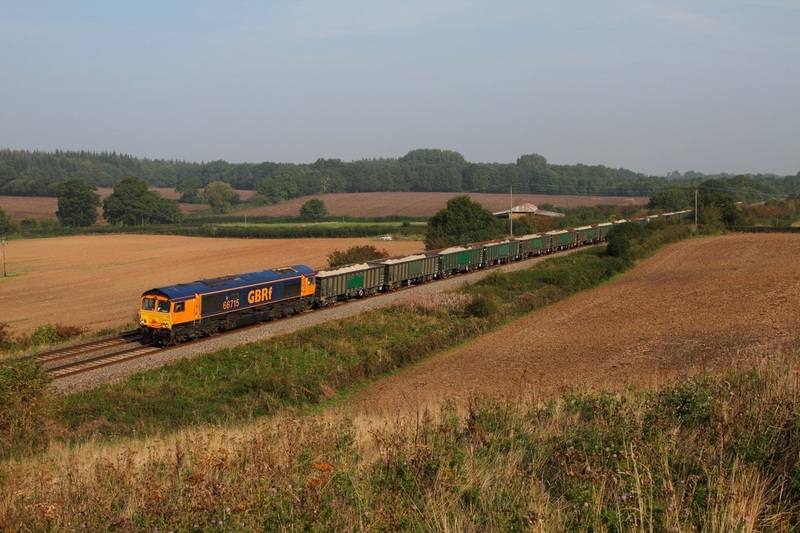 GBRf London Underground map liveried 66721 works the 6V83 Whitemoor to Moreton on Lugg at Ashchurch on the 8th September 2014.